Strain of Origin II out now! Strain of Origin II is our latest collaboration with Brisbane label Lofly and the second instalment in what will be an annual release. In 2010 Feral and Lofly released The Strain of Origin which saw artists from each label remixing each others work in an interstate musical swingers party. The resulting compilation was released to critical acclaim which prompted thoughts of a second compilation and the possibility of an annual release. To keep the concept fresh the labels looked outside their own rosters and put the word out to a number of like-minded artists who have helped push this second compilation into a new realm both musically and geographically. 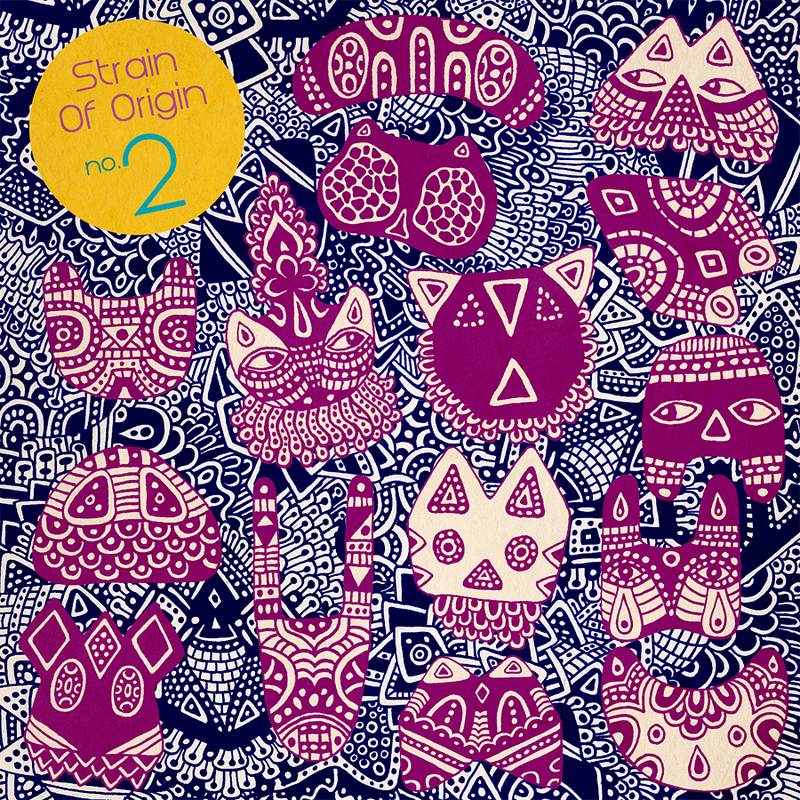 Strain of Origin II features contributions from AXXONN, Ambrose Chapel, Anonymeye, Dot. AY, Elroy 4.0, Jonathan Boulet, Mystery Twin (who also provides the amazing covert art for the release), Outerwaves, Simo Soo and Zeal. Whose contributions are bolstered by return performances from Feral and Lofly artists AFXJIM, Aheadphonehome, Alpen, Broken Chip (aka Option Command), Comatone, Mr Maps, ReSTReAM, Subsea, Thomas William, Toy Balloon and Underlapper with Feral artist Gentleforce also joining the ranks. This release is a true testament to the high quality of music being made in Australia and we here at Feral Media could not be happier with the results. This entry was posted in Audio and tagged afxjim, aheadphonehome, alpen, anonymeye, axxonn, broken chip, cleptoclectics, comatone, dot.ay, elroy 4.0, gentleforce, jonathan boulet, lofly, mr. maps, outerwaves, restream, simo soo, subsea, sydney, the strain of origin, toy balloon, underlapper, zeal on June 18, 2012 by Danny. We are an artist-run record label based in Sydney, Australia.